I caught a wave… It was on a whim. While looking through various Amazon book lists (I like to see what people are buying, and I look at covers, since I enjoy creating them) Anyway, I noticed all these Billionaire romances cluttering the lists. I remember when it was Mail Order Bride that everyone was writing (and reading). And they still seem popular. But Billionaires, well, we’ve always loved them, haven’t we? The Prince Charmings, Royal weddings, and all that. I honestly laughed when I first contemplated the genre. I like down-to-earth folks. Simple folks. Quirky folks. But the idea wouldn’t leave me so I sent up a prayer to my CEO (That would be the Lord) and asked for a great story idea if this was a path I should take. I didn’t get one book, I ended up with five. Five stories about four brothers and a sister who will inherit their father’s multi-billion-dollar estate, if they meet the conditions of the trust. In the trust, each one is given one of the businesses under the Grimwood umbrella and they must take that business and make it turn a profit by a certain time allotment. So, there was that…an idea blossomed. I started making notes and then it hit me. I love fairy tale retellings. Oh, boy, things got interesting then. Duncan and Elisa would get the Beauty and the Beast story. The setting would be at the neglected Grimwood Manor where Duncan lives pretty much alone, except for a small staff with big hearts. Jeremy and Melody would get the Snow White theme set at a struggling Sky High Ski Resort. Oh, what fun! I’ve been watching videos and wishing I could go skiing. However, I’m good with staying where it’s warm and I can watch others risk their necks. Ha! Right now, I’m working out the third book about Colton and Pricilla. Their story is a Little Mermaid theme. Did you know there are women who actually dress up like mermaids and swim in the ocean? One has created a line of “fins” for kids and adults and hosts parties. Another one also does shoes, but she uses her platform to educate people on sea life and protecting it. (So much fun!!) Oh, the ideas bursting in my head. ha! And here we are. The first book is out and people seem to be loving it. I’m still writing about down-to-earth folks. Quirky folks. But not so simple folks. I’ve had to put in some research, but the research makes it more interesting and I’ve always enjoyed learning new things. Have I piqued your interest? You can meet Duncan and Elisa by going here. Or read a sample chapter here. The first bit starts off a little rough, to show where Duncan comes from, but I assure you, this story has some deep spiritual threads that I absolutely love. 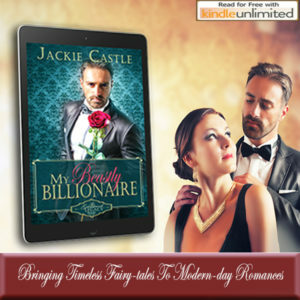 My Beastly Billionaire is currently available on Amazon and Kindle Unlimted. 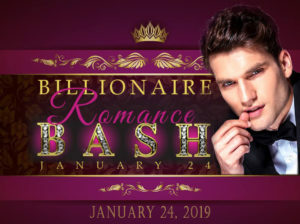 I’m part of a clean billionaire romance group and we are putting on a big Billionaire Bash this Thursday. There will be over twenty clean romance authors to meet and loads of prizes to win, including a $100 Amazon gift card grand prize! Come on by and check it out. I hope to see you all there. Hi Jackie! Snow day today in SW Michigan due to icy road conditions. While I am not fond of Billionaire romances, after reading your blog this morning I am intrigued. Your reasoning behind the genre made me purchase the book and preorder the next. As a retired journalism teacher, who loves photography, after checking your website, I now want to explore digital art. Your graphics are breath taking. Well done. As a German American, I grew up reading and studying Grimms fairy tales. I have several editions in both English and German and my German students read them. Fairy tales are intriguing and a good way to learn the German past tense. In my college Children’s Lit class, I wrote a research paper comparing the cultural elements of fairy tales as portrayed by the English, French, German with Walt Disney version. Caroline Lee did an amazing job retelling fairy tales with her historical Everland series. This week I read Janice Cole Hopkin’s Rosyln’s Rescue, a historical romance retelling of Little Red Riding Hood. Looking forward to the Facebook party. Best wishes. I’m going to have to check out those books you mentioned. Jackie! How appropriate is this post of yours, I just started reading Duncan and Elisa’s story yesterday! Such fun! I grew up loving the fairy tales, so I am totally enjoying the idea of an entire series! I have also already signed up for the Bash! YAY! This sounds like a good series. 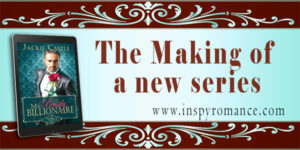 I love the idea of merging a fairy tale retelling with a billionaire story! I’m glad I read about the series here. Thank you Ellie. They were such fun to write. I can’t wait to start on the mermaid story! Oh I definitely need to finish that story! Great ideas and as always wonderful cover! I look forward to reading your series. I had to laugh when I started reading your post. Perfect timing! Two days ago I read a Billionaire book and am now caught up in a series. I look forward to reading your series. They do have their charms, don’t they? I’ve probably read nearly 10 since this idea started. I’m so blessed to have found a group of clean romance authors who are writing the billionaire books. They’ve been so great. I wasn’t either but found the clean ones are just like any other romance I’ve read. Except someone is rich. lol. I am intrigued by your series. I will check out your books! I like the idea of siblings with a fairy tale spin on it.